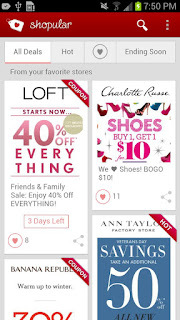 Black Friday $$$ Coupons (Android) - Find your deals and steals! ~ Android Forever! Black Friday $$$ Coupons (Android) - Find your deals and steals! Developer Quote: "The best selection of in-store coupons for your favorite stores like Gap, Old Navy, Aeropostale, Abercrombie and Fitch, Victoria's Secret, Forever 21, Bath & Body Works, Express, Wet Seal, Hollister, and more!" Black Friday is coming soon! Can you feel it? 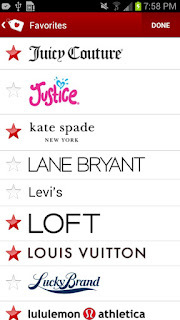 Here's an excellent Android app to help you get the best steals and deals! • Coupons are hand-picked so they will always work. • Redeem big brand coupons right from your phone. No need to print. • Covers 700+ malls including Westfield mall deals with more locations added continuously • Mobile coupons pop on your phone the moment you pull in • All content is curated to your personal favorites • Black Friday deals added daily. Walmart, Kohls, Macy's, Walgreens and more already in! 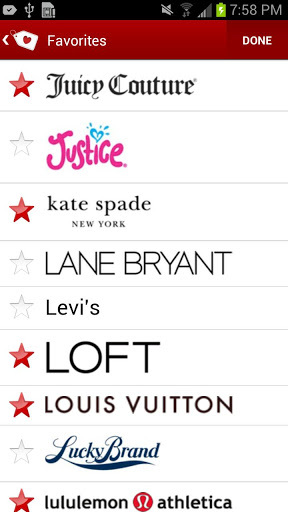 • The interface is simple, smart, and easy to use • Covers your favorite fashion brands like Abercrombie, American Eagle, Ann Taylor, Armani Exchange, Banana Republic, Bebe, Charlotte Russe, Express, Forever 21, Gap, H&M, Juicy Couture, Loft, Macy's, Old Navy, rue21, Tory Burch, Victoria's Secret, Wet Seal and many more! Grab Black Friday $$$ Coupons FREE from Google play!